What would happen to your team if you were no longer able to lead? Here’s a question I bet you’ve never been asked before: What would happen to your team’s work if the boss suddenly wound up dead in a pickle barrel? This is kind of a morbid (okay, downright weird) question, but on remote teams we seldom have a good plan in place for who does what if something major happens. And there’s a historical lesson here for why succession planning is important. Most of us believe that Ferdinand Magellan was the first man to sail around the world. While technically true, he actually died halfway through the journey and finished the trip with his body in a barrel of brine. The real hero of the story was Juan Sebastian de Elcano who completed the trip and lived, a far more important accomplishment to my mind. He was the navigator on board the Vittoria and brought the few remaining survivors safely back to Spain. How was he able to do this? Because (as is common in the Navy), there was a very clear plan of succession. While you could say that the team was located (all crammed on board a ship), there were actually three ships that set out, and there had to be constant coordination between the different crews. As disaster after disaster struck, they somehow kept it together and a few brave souls made it home on the one ship remaining. Many leaders are so focused on getting the job done—and coaching to that goal—that they don’t think about the long-term needs of the organization, the team or the individual team members. There are a number of reasons why we need to take a bigger view of things. 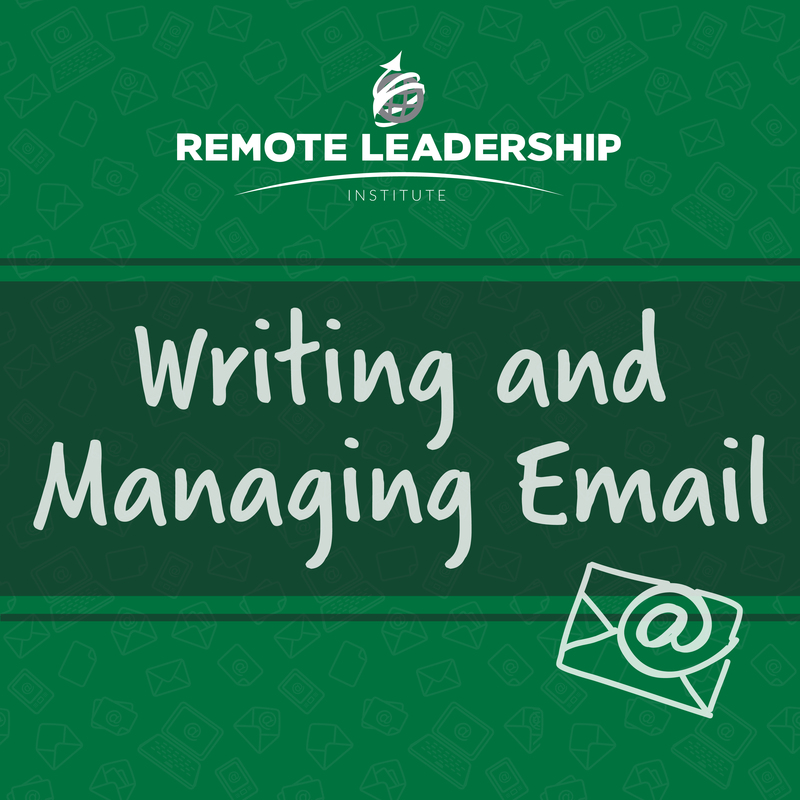 Are you giving your remote team members the chance to grow and thrive in the organization? One of the frequent complaints from people who work outside the office is that they don’t have the same opportunities for promotion and career development as those who work in headquarters or other common work places. Delegating tasks for development and learning, not simply for task completion, is an important part of the leader’s job, and one that most of us ignore in the frenzy of just trying to get through the day. Have you helped develop the trust among your team that future leaders can shine? In the line of naval succession, the navigator is pretty low on the list. But as crew members on the Magellan voyage, especially officers, kept dying along the journey, lower-level crew members needed to step up. De Elcano must have inspired confidence in what remained of the crew to get them through completely uncharted seas and safely back to port. Is there a succession plan if something happens? What if you suddenly wound up dead in a pickle barrel? Okay that’s melodramatic, but what if you took ill, or even got promoted out of your current position? 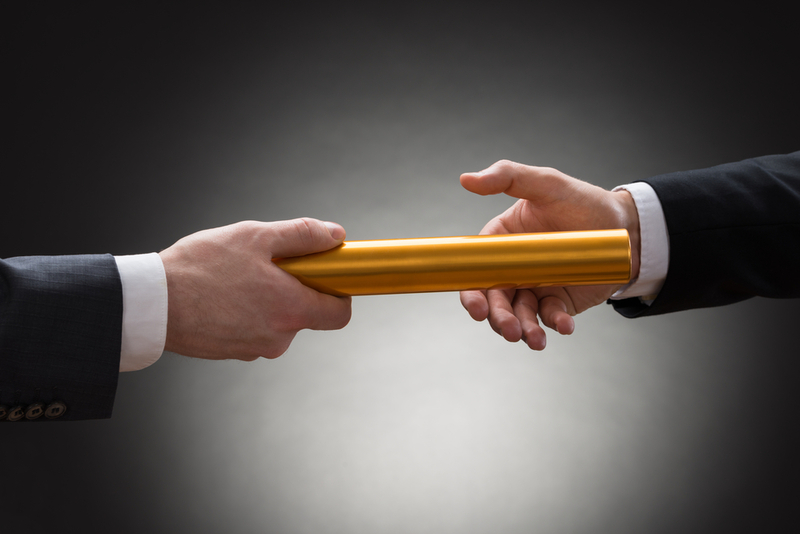 Is there a succession plan in place for who would replace you? Do you know who could fill your shoes? How would the rest of the team respond to that person’s elevation. Would they see it coming and have faith that things would continue along, or would it cause panic and a drop in productivity? The point is it doesn’t take a personal tragedy befalling the leader to make a succession plan worthwhile. At some point, something probably will happen. 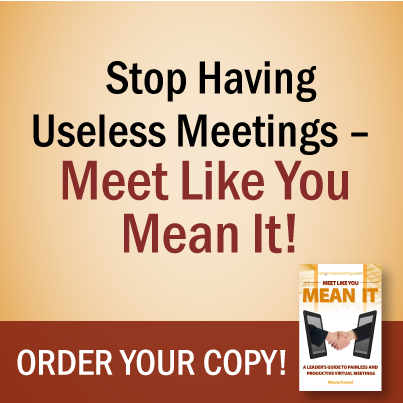 Remember that an important part of leading a remote team is helping people see the competence and motivation of their teammates, even if they don’t see each other in the lunch room every day. Are you taking the time to help identify, develop and create a succession plan for your team? If not, what can you do about that, starting today? 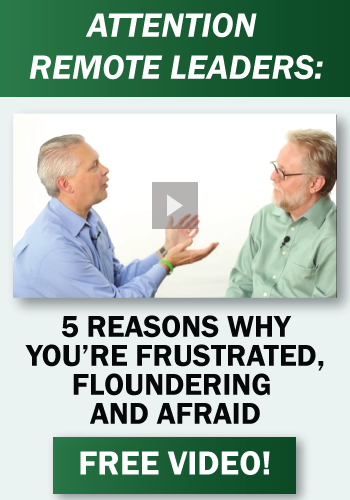 Wayne Turmel is the co-founder and Product Line Manager for the Remote Leadership Institute. For twenty years he’s been obsessed with helping managers communicate more effectively with their teams, bosses and customers. 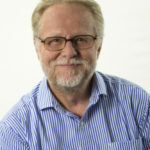 Wayne is the author of several books that demystify communicating through technology including Meet Like You Mean It – a Leader’s Guide to Painless & Productive Virtual Meetings, 10 Steps to Successful Virtual Presentations and 6 Weeks to a Great Webinar. His work appears frequently in Management-Issues.com. 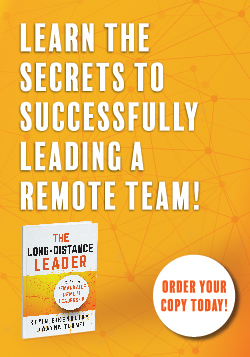 Wayne, along with Kevin Eikenberry, has co-authored the definitive book on leading remotely, The Long-Distance Leader: Rules for Remarkable Remote Leadership.